Hello!!!! Are you ready? Because we are ready to start out February JustRite Papercraft release! Lots of pretty flowers this month, and beautiful sentiments. 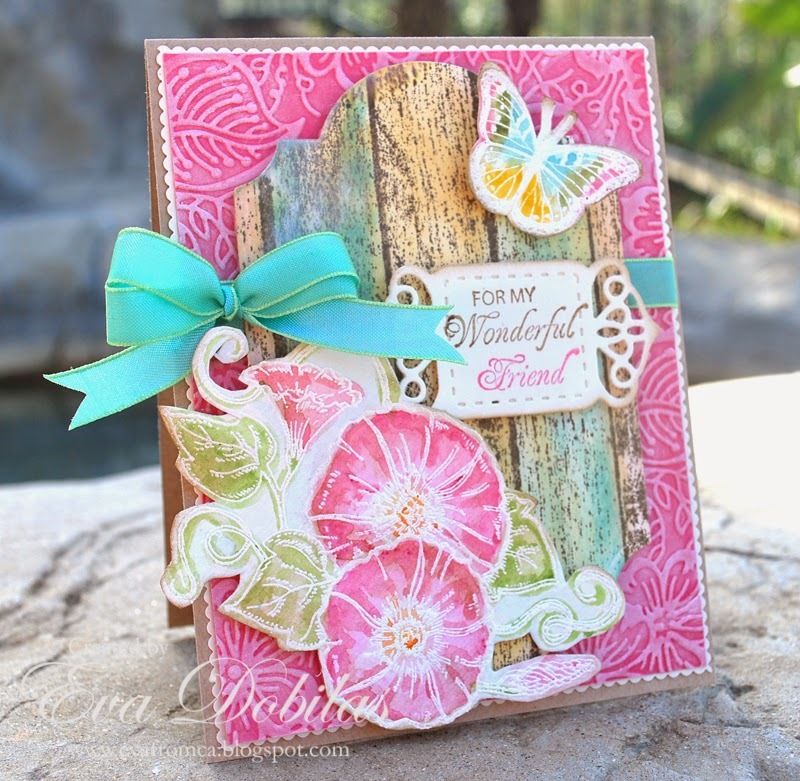 We start off with a new set called Morning Glory Cling stamp set and Upcycled Woodgrain Background Stamp. I started with my background which I embossed with Crafter's Companion's embossing folder called Indian Bouquet, than I wiped white ink on the raised parts. I white embossed my flower and butterfly onto water color paper and painted it in with water colors and cut them out. I also stamped my background with brown ink and colored it in and die cut it with Spellbinders Labels Twenty Eight dies. I stamped my sentiment onto a label cut with Spellbinders A2 Tranquil Moments dies. Finally I added a pretty ribbon to pull the whole card together. Here is what the ever so pretty Morning Glory Cling stamp set looks like. 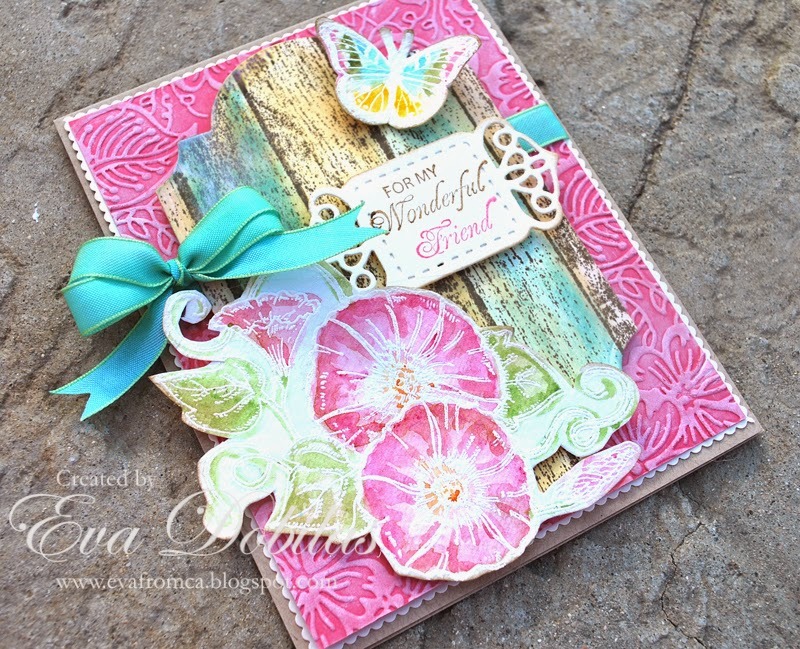 Here is what the Upcycled Woodgrain Background Stamp looks like. Thanks for stopping by and wishing you a great day!